We offer this 2004 Chev. Vevture for sale. We back it up with a 6 month 7500 mile powertrain warranty. This van is a LOCAL ONE OWNER.. Its in great shape with new tires. We are AMERICAN OWNED AND OPERATED. We have been in business for over 40 years. We do all the DMV work on site and do not charge you a Processing fee. This saves you time and money. 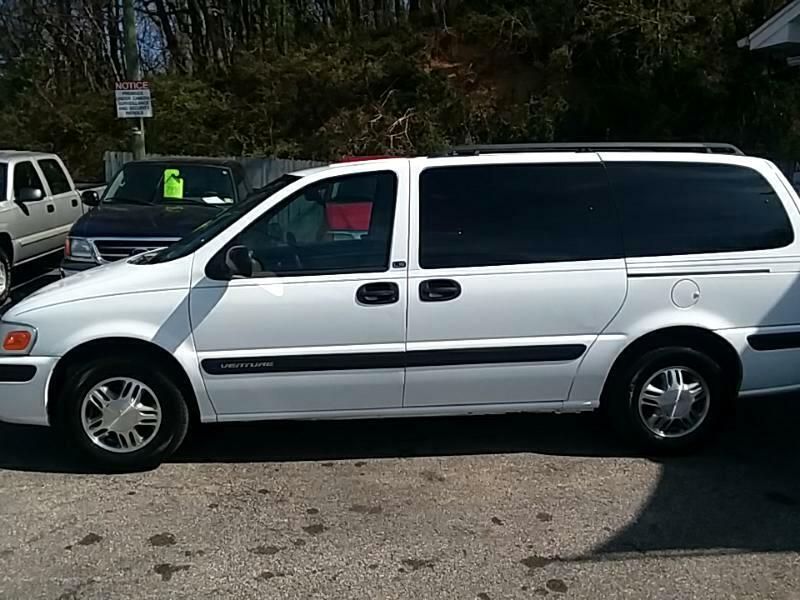 Introduced in 1997, the Chevrolet Venture is the manufacturer’s FWD/AWD minivan that now offers XM satellite radio, Captain’s Chairs and new exterior colors for 2004. With a 3.4-liter 185 horsepower gas-powered V6 and a 4-speed automatic transmission with overdrive, the Venture seats up to seven passengers, with plenty of interior room designed for comfort and cargo. Standard features on the Base model include front and rear air conditioning, cruise control, keyless entry and a trip computer. Safety features include front and side-body airbags and traction control.